October 1, 2015, San Diego, CA — On September 24th, 2015, the Obstetrics and Gynecological Devices Panel of the Medical Devices Advisory Committee met to hear scientific and clinical opinions on the benefits and risks of the Essure system as well as to hear from members of the public who have used this device. The FDA and Bayer Healthcare gave presentations regarding the device. Bayer presented on the product development and training, the safety and effectiveness of Essure and the real world experience of Essure according to their affiliated doctors. 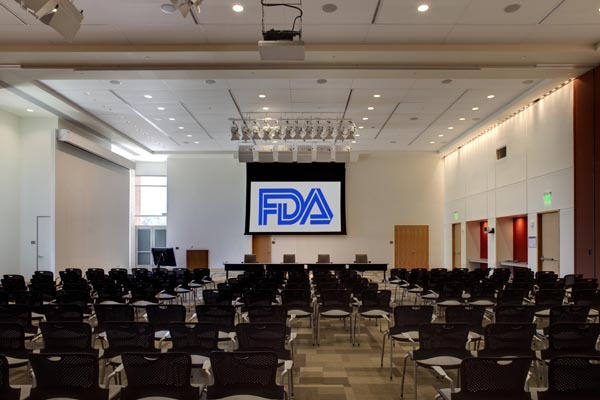 The FDA presented information on the pre-market review and clinical landscape, safety data pertaining to Essure and effectiveness data pertaining to Essure. After the presentations, the Open Public Hearing took place. Approximately 45 participants shared their testimony regarding the Essure device. The presenters included Essure patients and their family members, patient advocate, clinicians, non-profit organizations, and medical professional societies. The majority of the presenters were women who had the Essure device implanted and who suffered, and continue to suffer from, serious side-effects. Bayer seemed to focus on the fact that if doctors properly counsel their patients regarding the Essure device, then the patients will know the risks and benefits of Essure. This was refuted by many of the speakers who were victims of Essure themselves, who gave moving testimony about their personal experiences and lack of information about the risks. Many women said that their doctors told them that there were no side effects and that no one has ever had issues with Essure, which we now know to be untrue. Many of the women gave detailed testimony about the negative effects Essure has had on their life and the lives of their family members, stating that Bayer and the FDA are failing the women who are hurt. One of the most impactful speakers was Dr. Hooman Noorchashm, an activist and doctor. He reminded the FDA that “You are here to protect the public, not the interests of Bayer.” He then asked all the women to stand up who were at the hearing and had suffered due to Essure to show the FDA that the women hurt by this device are real and united by their experiences. FDA Label Change for Essure? Although the FDA did not come to any final conclusions based on a lack of clinical data, they expressed concern at the lack of access to all three steps of the Essure process, from implanting the device to the three month waiting period to the confirmation test as well as access to physicians who are skilled at removing the devices. The panel discussed changes to the labeling to better warn patients as well as increased training to physicians on device removal and situations when the implant procedure should be aborted. A national registry was suggested to better track the women who currently have the Essure device and to gather additional information regarding side effects. Finally, the panel suggested that women with a known hypersensitivity to metal, autoimmune disease, history of pelvic inflammatory disease, and those with a history of abnormal uterine bleeding may be less suitable candidates for the Essure system and should choose other birth control options. Fortunately, we were able to attend the FDA hearing. The hearing was an important forum for women who have been hurt by this device to share their experiences in their own words and put a human face with all the pain the FDA, Bayer and the general public have heard is caused by this device. Hopefully the FDA panel was as moved as we were by the courage and strength of the women who told their stories and will act to prevent future suffering. Let’s get the truth about Essure out there and hold Bayer accountable for the harm it has caused to so many women and their families.